The Standing Stone: Glendalough, Bullaun Stone, Co. Wicklow. Glendalough, Bullaun Stone, Co. Wicklow. Location – This is set into the ground next to the path near St. Kevin’s church. Description and History – This a small little stone right at ground level and can be easily missed. 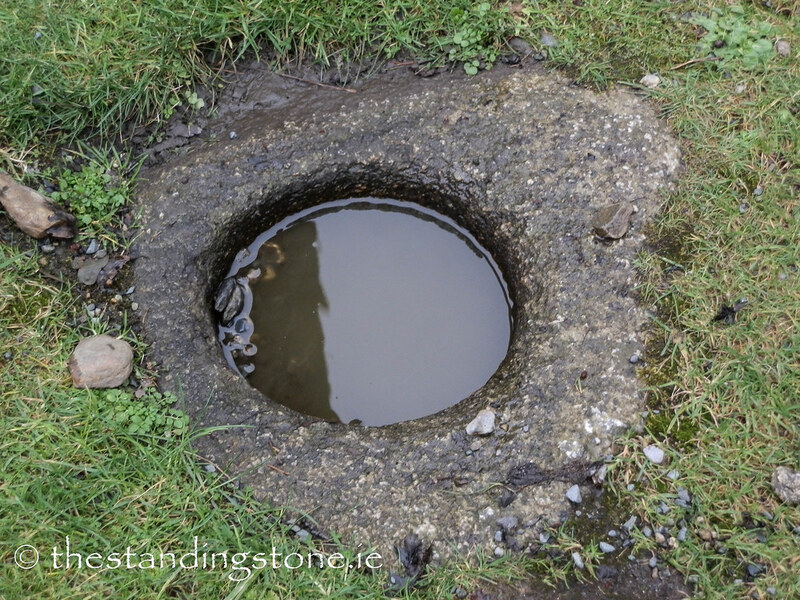 It would be interesting to see the full shape of the stone, but there is something charming about it just peeking out of the ground. Difficulty – Easy to find but can be easily overlooked.